The color of this granite is mainly black, which is inlaid with grey point and black spot, and it is more dignified with beautiful color. It has never worn, never fade excellent performance, the luminosity is like the mirror after polishing of gorgeous and super strong constitute. Its unique surface provides a variety of designs and colors, all of which are natural. The difference between the bricks and the bricks makes the taste unique. However, different colors and designs do not lead to incongruous patterns. 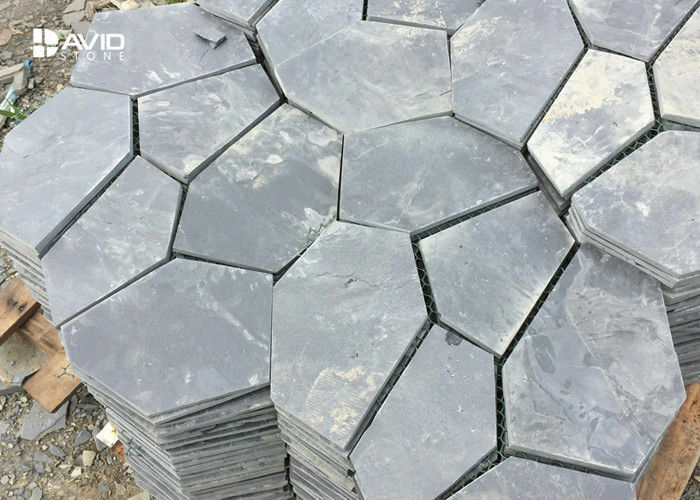 As a matter of fact, this will only increase the sense of beauty of slate bricks, because they give people a different feeling, which is not achieved by other floor tiles, even if they are also natural stone bricks. It is very wear-resistant. This is also the reason many people suggest that the slate floor be installed in the high flow area. In some cases, some owners complain about "road map" slate on the floor, which leads to frequent stream of people around the slate formation of wear pits. This is not in line with the facts. It must be pointed out that the cause of this "traffic map" is regularly used as a curing agent on the slate brick. To know the care of this special floor tile, it is necessary to record the curing agents used to understand which type can be compatible with which type. If the choice of the stone surface is correct, then the slate brick can maintain the natural antiskid performance. Otherwise it's dangerous when it's wet. In spite of this, the skidding property of the slate brick mainly depends on its uneven surface. Of course, the slate brick is not perfect and flawless. With the loss of time, they have cracks. In spite of this, the floor material of the slate bathroom is the most popular material in the bathroom floor industry.